Ever since the release of Fortnite Battle Royale, Epic Games have kept themselves quite busy by adding in more and more content to the game with every passing week or so. Just a couple of days back, we saw a brand new update for the game, titled Fortnite Patch v6.10. And well today, the developers are here with a couple of post-patch changes, which include some pretty major changes for the in-game Fortnite Battle Bus. 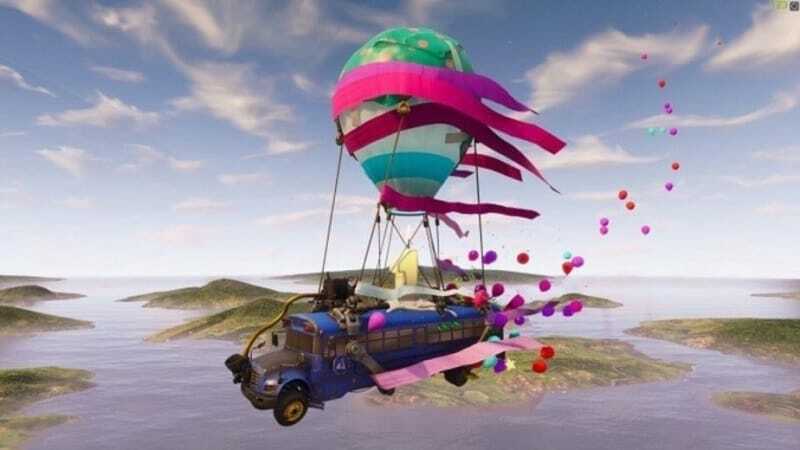 According to Fortnite’s official announcement, the Battle Bus is test driving a brand new engine upgrade which is set to increase the traveling speed by 25%. Now, though this will not have an impact within the game, it will surely make the matches slightly shorter as the time players take to drop down on the map will reduce significantly. Apart from the relatively new “Thanking” feature and the cosmetic changes, the Fortnite Battle Bus has not received much love since the game’s launch. However, since the Bus plays a vital role in the game, it is good to see that the developers are focusing on making this feature a little more interesting as well. Hopefully, if the community appreciates these changes, we are going to be seeing similar changes in the future. So, what are you waiting for? Get back in the game and see just how much this new Battle Bus upgrade changes the game. And once you are done, comment below and let us know what you think of the changes? Do you think this engine upgrade is what the game needs? Have you suffered enough from lousy equipment and limited resources in Fortnite that negligibly small to help you thrive in all competitions? Are you running out of time to farm and harvest due to the busy schedule? Well, here is the savior for you to meet - MMOAH. MMOAH Fortnite store provides the most resourceful products with reasonable low price and generally-30-minute delivery. If you look for buying Fortnite Items, Highly recommend MMOAH Fortnite store. View more details or purchase now through clicking Fortnite Materials or Fortnite Items for sale.